Ken died peacefully at home with his family by his side. Ken died as he lived; on his terms, in control and with dignity. Ken was born in London, Ontario. He is predeceased by his parents, Margaret & Grant and his sister, Judy and is survived by his wife, Kathy of 43 years and their two children, Christopher and Kelly. Ken graduated from Western’s, Business School in Ontario, joined Aetna Life (Toronto) transferred to Calgary as Office Head at 25. He left Aetna for an employee benefit consulting business; transferred to Toronto head office in 1979 and in 2 years was running the office. In 1989, he became CEO of Sedgwick, Canada. In the same year he became a Dad for the first time to a son (Christopher) and 21 months later, a daughter (Kelly). Five years later Ken and family were transferred to Memphis as Chairman and CEO of North American operations Sedgwick Noble Lowndes, a UK consultancy. 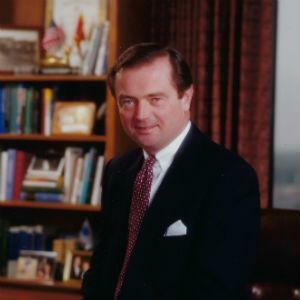 In 1998, Sedgwick was acquired by Marsh & McLennan/Mercer and he became a Worldwide Partner, Practice Leader and Director of the US Board for Mercer. He retired from Mercer in 2002; moved to Vancouver in 2003 as CEO & President of Pacific Blue Cross for 11 years before retiring. Ken served on a number of boards over his career, Sedgwick Canada, Sedgwick US and Sedgwick Noble Lowndes Global, Mercer US, BC Life and Casualty, ICBC, Ovarian Cancer Canada, Autism BC and Vancouver Airport Authority YVR. Over the years Ken enjoyed many activities: golfing, sailing, bird watching, vacations with his family and travelling the world. There will be a Celebration of Life on Thursday, December 6 at the Century Plaza Hotel at 4:00 pm. In Ken’s memory, donations to the BC Cancer Agency https://bccancerfoundation.com/ways-donate/gift-memory or the Pacific Family Autism Network https://www.gifttool.com/donations/Donate?ID=2066&AID=2336would be appreciated. A special thanks to Dr. Renelle Myers, Dr. Leslie Zypchen, Bonnie Leung, Dr. Phil Teal, Dr. Geoff Edwards and our very precious caregivers; and all the nurses and doctors from VGH/BCCA over the years who cared for Ken and kept him in our lives for so much longer than we expected. So sorry to hear of the passing of Ken, I went to high school with Ken at Clarke Road many years ago, my deepest condolences go out to all his family. Have not seen my cousin Ken in many years but would like to extend the condolences of the Wm F. Martin Family from those of us who are left: Joyce, Don, Michelle, Matthew, Jeremy, Dylan and Jocelynn all in Chatham, ON. Please accept my condolences for the loss of a fine man, taken far too young. .
My deepest condolences and thoughts are with Ken’s family. It was a pleasure to deal with Ken, a straightforward and smart business leader. Sending condolences to you, Ken’s family….Kathy, Christopher and Kelly and extended family. Ken will leave a lasting impression on those of us who came to know him. Wishing you all the best at this difficult time. Thinking of you at this time of sorrow and sending heartfelt sympathy to the Family of Ken Martin. May your many cherished memories help bring you peace and comfort throughout all the days ahead. With deepest Sympathy from Cornelia Perko & Family. My deepest condolences to all of the family on the loss of a beloved husband, father, and uncle. May the love of friends and family be a source of comfort in the weeks and months ahead. Please accept my sincere and heartfelt condolences at this most difficult of times and please pass these feelings onto your family.